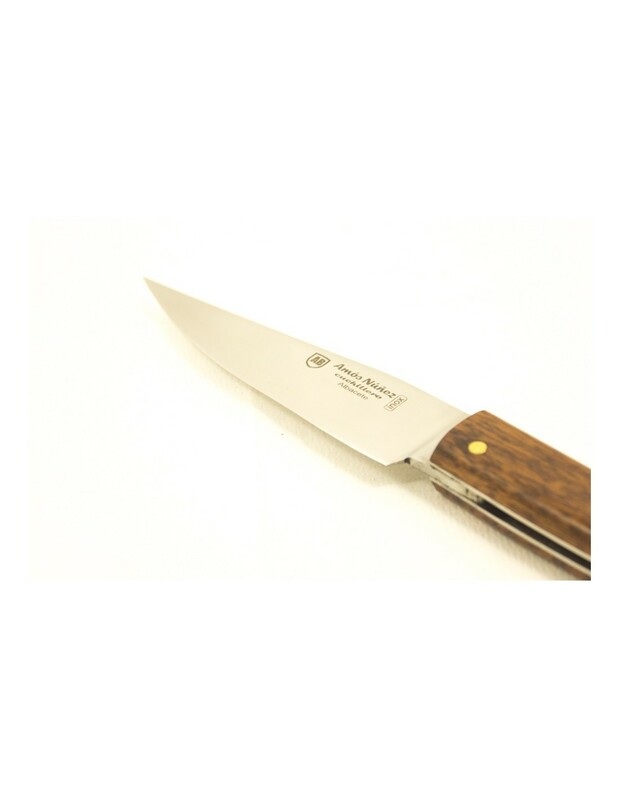 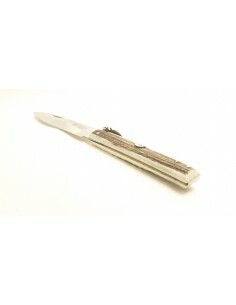 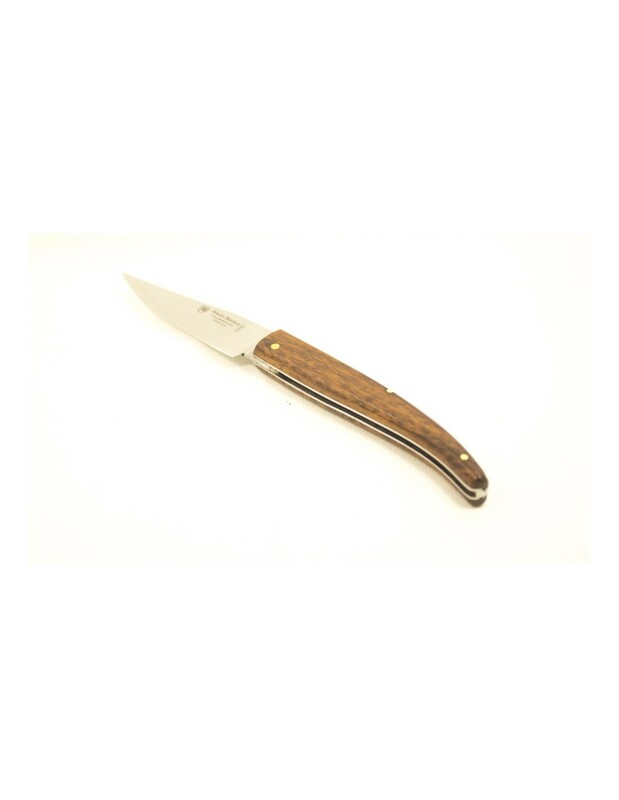 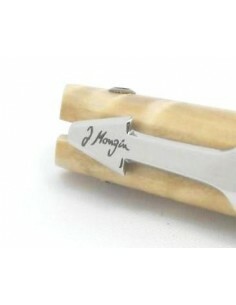 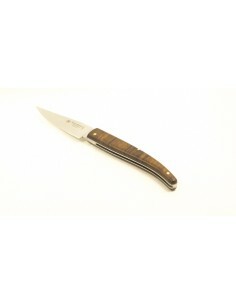 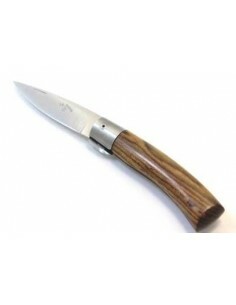 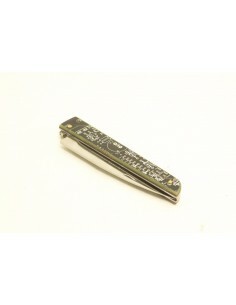 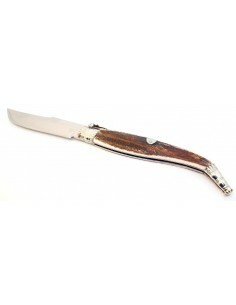 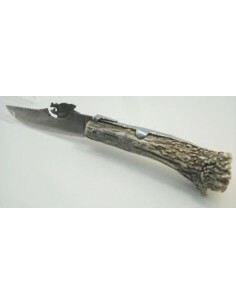 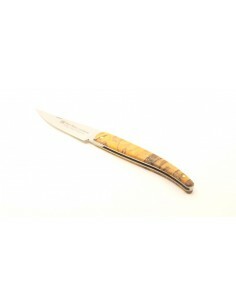 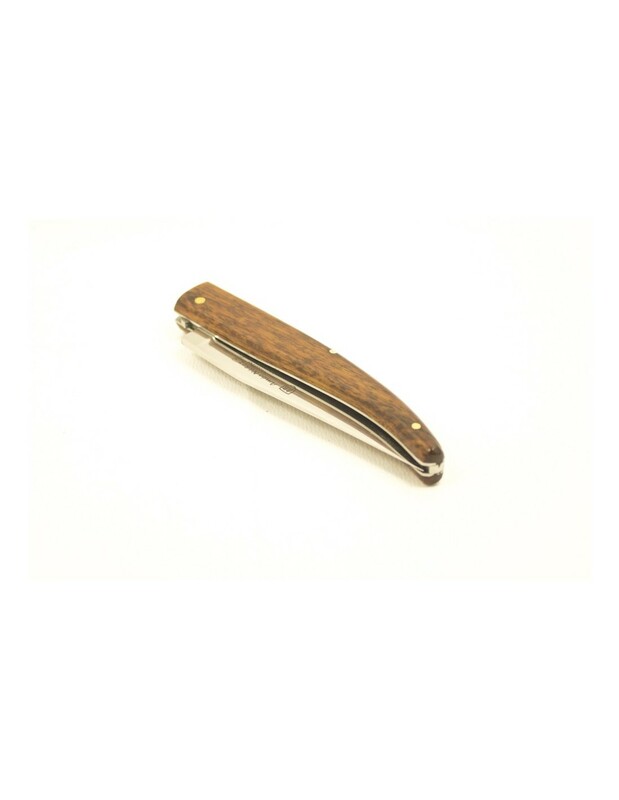 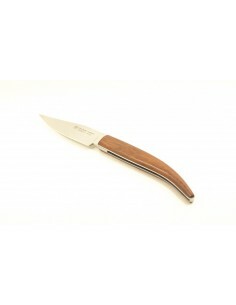 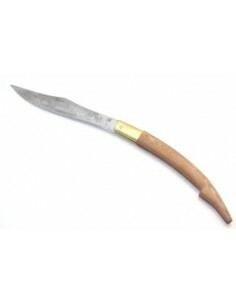 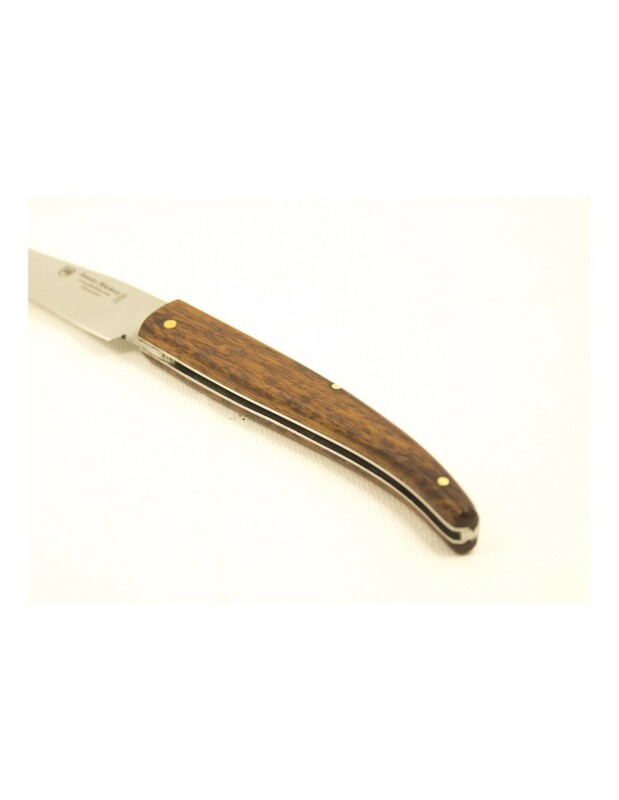 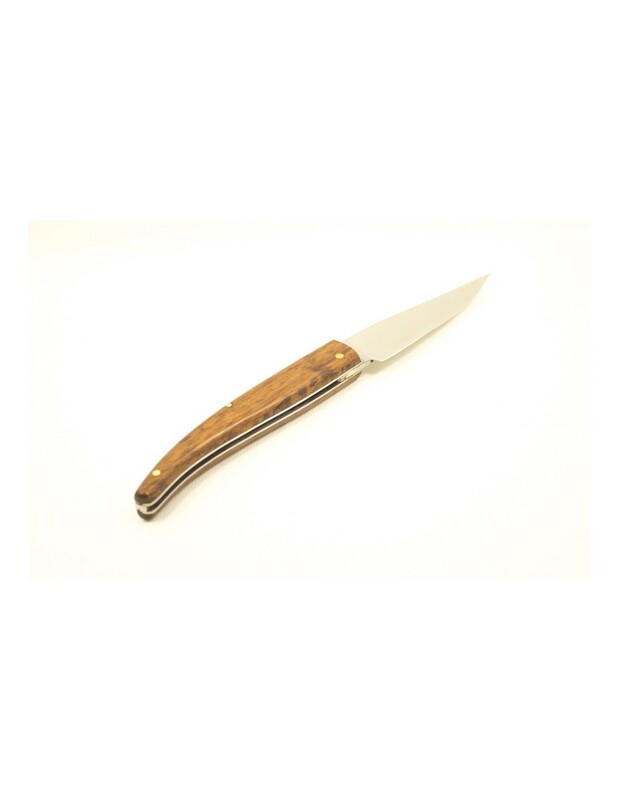 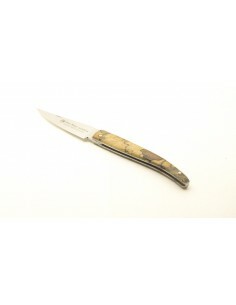 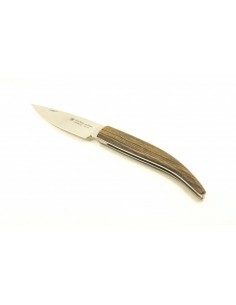 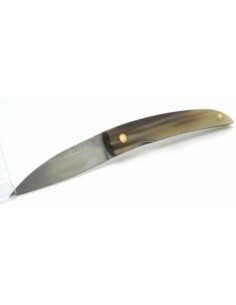 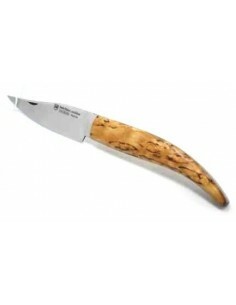 Albacete handcrafted folding knife with Amourette wood scales. 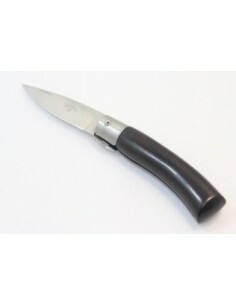 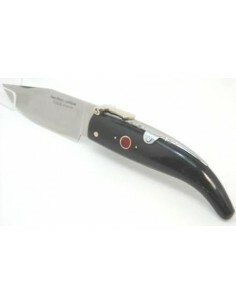 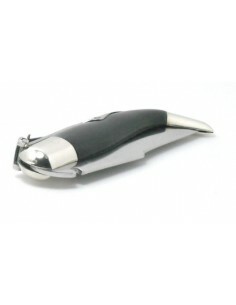 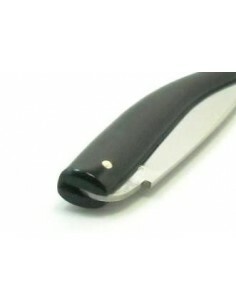 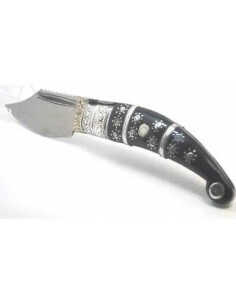 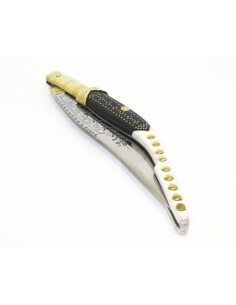 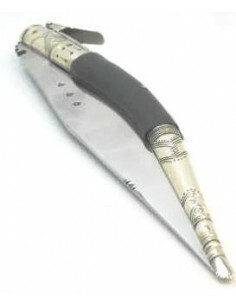 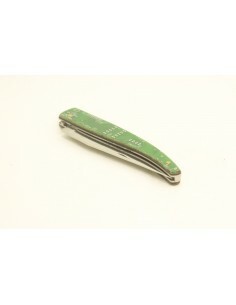 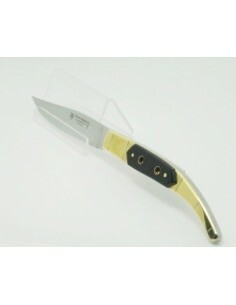 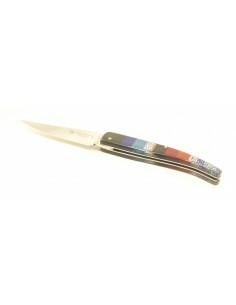 Albacete handcrafted folding knife, blade of Mo-Va stainless steel, 2,5mm thickness, no hollow blade and mirror polished, stainless steel liners and slip-joint lock system. 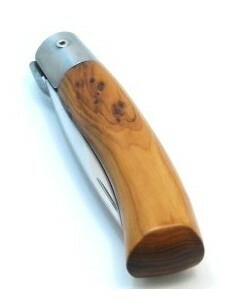 Scales of selected Amourette wood.